The school has adopted a 'Stay great, Stay green' behaviour system this year. 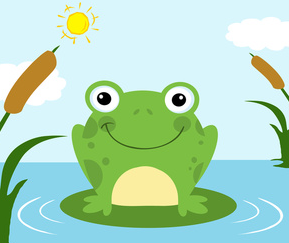 Each child has their own frog which they need to keep green throughout the course of the day. If their behaviour falls below that which is expected, their frog will no longer be green. Depending upon their actions they will be placed at Stage 1 (yellow card), Stage 2 (orange card) or Stage 3 (red card). For all those children who remain green throughout the day there will be 5 dojo points for Staying Green. Please ask your children if they have stayed green at the end of each day!